Most non-domestic premises have ventilation or air conditioning installed, with ducting running through the building. Dust and debris accumulates in the ducts and becomes a breeding ground for bacteria and mould. These risks are increased where humidity and higher temperatures are a factor. Without regular cleaning, air will pass through the polluted duct carrying these allergens into the building, hence the ventilation system to provide fresh air to the buildings occupants is in fact doing the opposite. Buildings can suffer from “Sick Building Syndrome” . While the causes of Sick Building Syndrome were a mystery for a long time, it has now been shown to be a direct effect of poorly maintained ventilation systems helping to spread dust and airborne micro-organisms through a building. With the introduction of Workplace Regulations 1992 it is every employer's and building owner's responsibility to ensure that the air introduced should be, as far as possible, free of any impurity that is likely to be offensive or cause ill health. 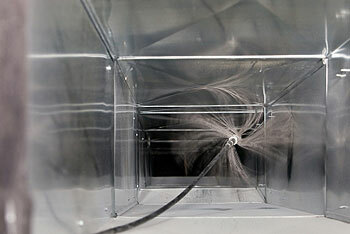 Mechanical air duct systems should have effective ventilation filtration and be properly cleaned. The ventilation and / or air conditioning or other ducted system must be closely inspected for internal state of cleanliness. Our comprehensive ventilation duct cleaning service will ensure the air system will be thoroughly cleaned from the supply system right through to the fresh air intake, mixing area and supply diffusers, the duct will be cleaned from the grilles through to discharge to include, motors and fan blades. 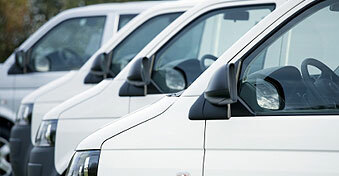 As a member of the B&ES we are regularly audited ensuring our systems are in line with all recommended standards. On completion of the work we always provide a detailed post clean report together with a certification confirming the work has been undertaken, this can come with a detailed photographic portfolio, if required.